After a lingering winter that kept you indoors for most of the season, it’s easy to feel excited about the upcoming summer. Its warm, sunny days are perfect for travelling or relaxing at home, but these summertime activities aren’t always in your future. Bad finances are the rain clouds that ruin your sunny season, grounding your flights of fancy and making it hard to appreciate the heat. If you’re worried your financial situation will keep you from enjoying the season, check in with these three simple tips. 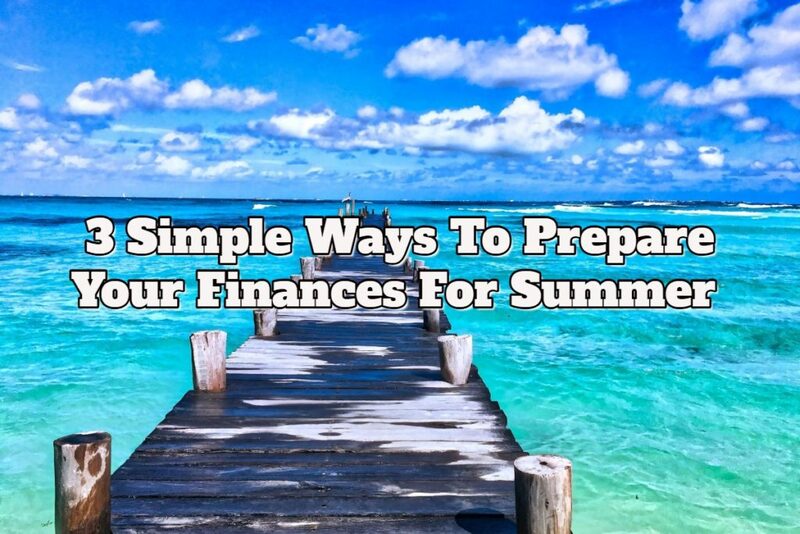 They can help you prepare your finances, so you can do what you want this summer. Like eating 10 portions of veg every day, making a budget is one of those things people know they should do — but they rarely get around to it. 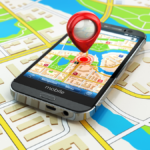 According to a recent study by the U.S. Bank, only 41 percent of American homeowners use this important financial document to track their finances. This doesn’t raise an alarm on its own. After all, you don’t need a budget if you’re earning so much that you can barely manage to spend a third of your income. It doesn’t matter if you track your expenses; this financial set-up has built-in savings. According to a 2017 survey completed by GOBankingRates, most Americans aren’t good at saving. Roughly 57 percent of respondents have less than $1,000 in savings, leaving them ill-prepared for emergencies. This number is actually an improvement from the previous year’s study, which recorded nearly 70 percent of its respondents having less than $1,000 in savings. However, the number of those who have absolutely nothing in their savings rose four points to 39 percent in the same period. Wherever you fall on the scale of financial security, a budget forces you to really think about how you spend your money. By tracking purchases for housing, groceries, and all the other spending categories, you can see where your money goes any given month. It can be an eye-opener! In most cases, a budget reveals bad spending habits preventing you from achieving your goals. Whether your goal is a fun summer jet-setting around the world or something entirely different, a budget is crucial to making it a reality. Many of us think the big purchases in life are what do the most harm to our finances. While it’s true a new car or a major household repair puts pressure on your finances, don’t overestimate what small purchases can do. Every time you swipe, tap, or sign your name, you’re committing less of your money to savings. Eventually, these things add up, leaving you with considerably less money in your bank account. If you make a habit of spending more than you intend every time you leave your house, try the following tips to keep impulse buys to a minimum. Always have a plan: Never enter a store without a list and a budget to keep your shopping in check. Use credit cards sparingly: Credit cards trick you into thinking you have more cash at your disposal than you actually do. High off that credit limit, you might use it to buy things you don’t need and can’t afford. Leave them at home and try shopping with cash more often. Avoid expensive situations. Think of your spending habits as a vice. A recovering alcoholic wouldn’t go to a bar, so why would a recovering overspender go to the mall? Remove yourself from environments you know will tempt you to spend. Despite your best intentions, sometimes things don’t work out the way you planned. Though you created a budget and worked hard to ignore temptations, emergencies that test your finances can happen. If they happen before you’ve managed to create a safety net of savings, you need to have a contingency plan. A back-up plan is as vital as a budget when it comes to your finances. After all, you can’t exactly postpone an essential car repair just because you don’t have the money to pay for it. For many Americans without savings, their car is the only way they can get to work and make money to pay for other bills. It’s a difficult situation many navigate by turning to personal loans as support. The personal loans industry — particularly online lenders offering payday loans — is growing at a faster rate than any other financial assistance option. Their popularity is in part due to online lenders like MoneyKey that offer faster, more convenient access to cash than traditional lenders. For example, you can apply for payday loans from MoneyKey.com at any time of the day or night because their online platform operates 24/7. This will come as a relief if you can’t reach a retail bank’s location during their opening hours. All you need is a secure network and basic financial information to apply. In most cases, a lender like MoneyKey can issue a cash advance one business day after you’re approved. Depending on your financial situation, a personal loan could also be your back-up. When making your first budget, think about how well prepared you are to face an emergency. If there isn’t room in your financial plan to cover an unexpected repair, take the time to explore your options and create a solid contingency plan. A back-up plan, proper spending habits, and a budget can help fix your finances in time for your summer vacation. Take advantage of this advice now, so you can get the most out of the season without compromising your finances.